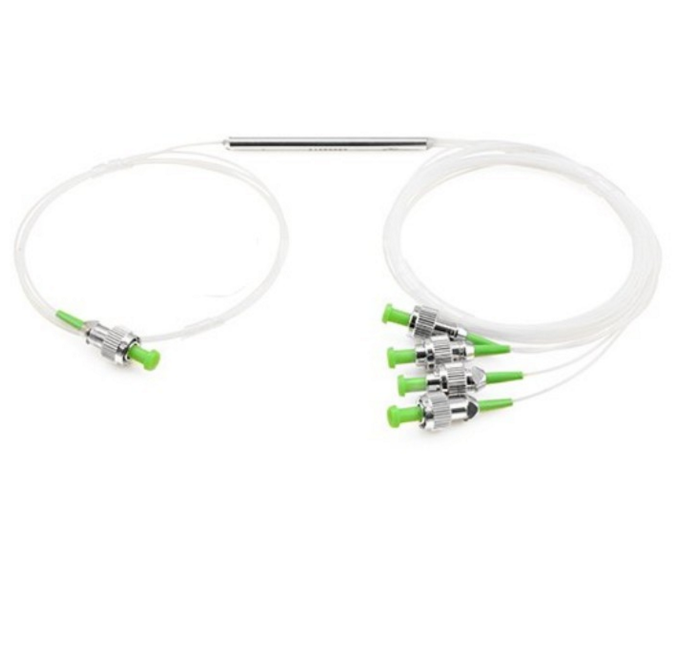 Fiber Optic Splitters are important fiber optic components in passive fiber networks cabling.To learn Fiber Optic Splitter Wiki for both PLC and FBT types, It can help us make wise choice in purchasing or using suitable fiber optic splitters. 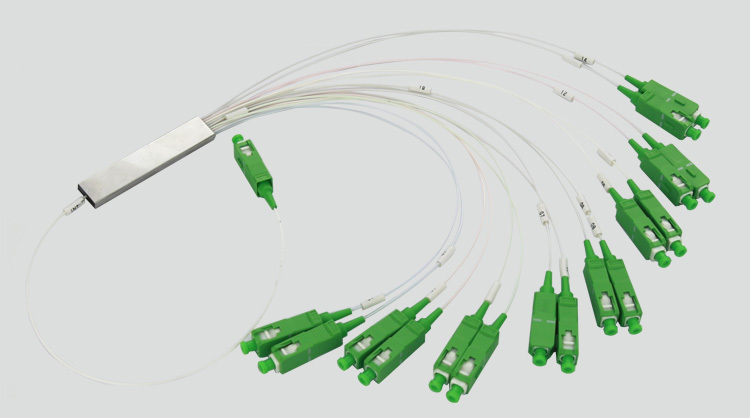 Over the past few years, optical technology has made a huge step to meet the growing demands for optical performances in fiber applications. 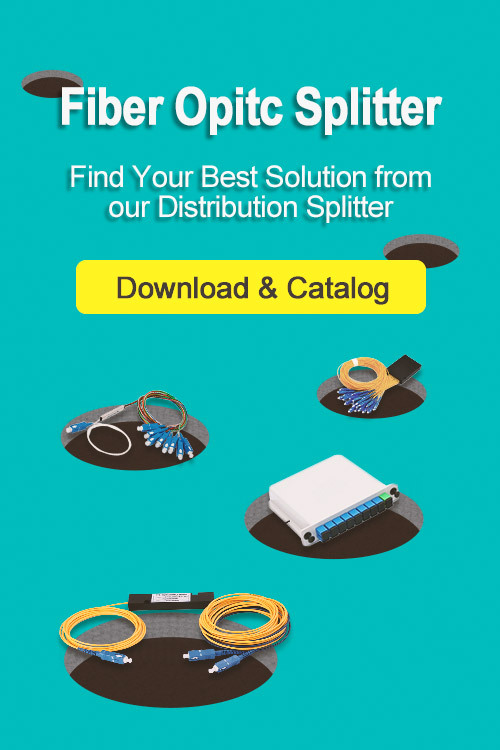 Splitter fabrication and packaging have made a great process, which makes optical splitters be an even more important passive device in passive optical networks (PON). 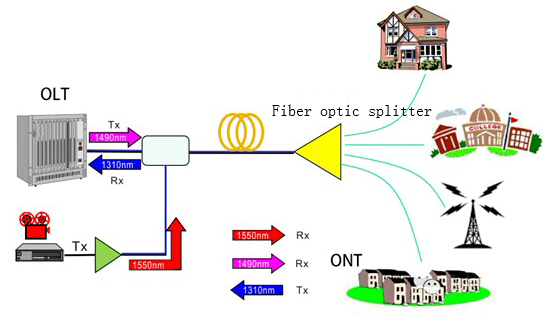 Optical splitter, known as a beam splitter, is an integrated waveguide optical power distribution device, similar to a coaxial cable transmission system. As an important component in passive optical networks, optical splitter is also called passive optical splitter or PON splitter, which is used to split the fiber optic light evenly into several parts at a certain ratio. 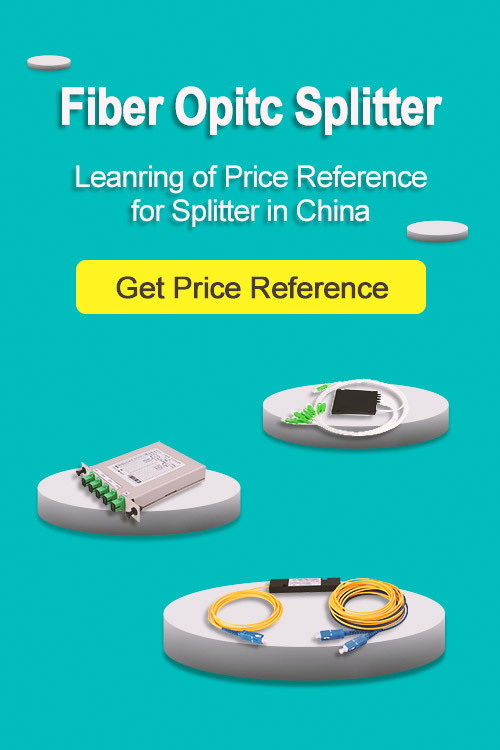 Optical splitters are in two types according to working principle—FBT (Fused Biconical Taper) splitter and PLC (Planar Lightwave Circuit) splitter. Each type has its own performances. Fused Biconical Taper is a kind of traditional technology in which two or more than two fibers welded closely together by applying heat. FBT splitters are made by steel, fiber, hot dorm. They come at a low price, which explains the cost-effective feature of the device itself. As this technology has been developed over time, FBT splitters are wildly used. 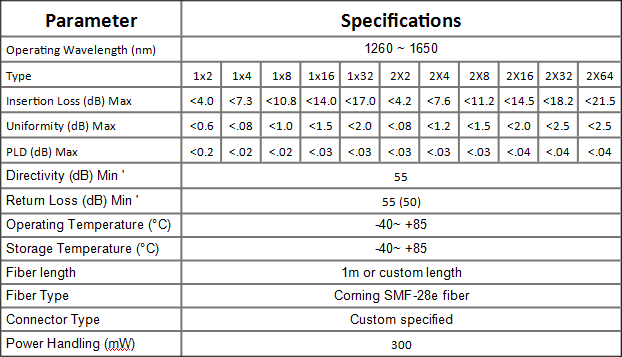 They are applicable for both single-mode and multi-mode fibers compliant with a variety of connector types, widely accepted and used in passive networks, especially for the split configuration is smaller (1×2, 1X4, 2×2, etc.). The following picture shows a 1×4 single-mode FBT splitter. Because an exact equal ratio cannot be ensured, transmission distance will be affected. PLC splitters offer a better solution for applications where larger split configurations are required. To achieve this, waveguides are fabricated using lithography onto a silica glass substrate, which allows for routing specific percentages of light. As a result, PLC splitters offer very accurate and even splits with minimal loss in an efficient package. With the rapid growth of FTTx worldwide, the requirement for larger split configurations (1×32, 1×64, etc) in these networks has also grown in order to serve mass subscribers. Due to the performance benefits and overall low cost to deploy, PLC splitters are now the ideal solutions for these types of applications. Suitable for multiple operating wavelengths (1260nm – 1650nm); unstinted.